Nothing puts a halt on your productivity quite like a paper jam in the middle of the workday. While this printer problem is a pain to deal with, it can be quick to troubleshoot and fix. Below, the printer service professionals at Laser Line in Jessup, MD, are here to discuss a few of the most common causes of paper jams and how to repair them. If you load the paper in a feeder on top of the printer, then you may experience a jam because of incorrect loading. This occurs when multiple pages get drawn into the rollers at one time, causing them to become stuck while printing. You can avoid this by fanning the papers, so they aren’t caught together in the feeder. Your printer’s feeder has a limited capacity of how much paper it can be filled with. If you attempt to overload the tray, it may lead to a paper jam. Read the manufacturer’s manual that accompanied your printer to determine what the limitations are. As a general rule of thumb, you should open up the printer on a routine basis to clean out the paper pickup rollers. The buildup of dust and debris can prevent the roller from being able to grip the paper, thus leading to a jam. 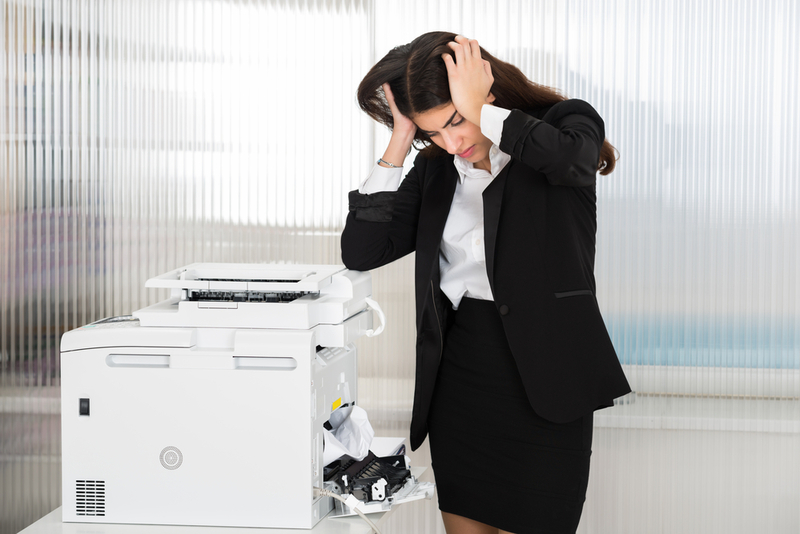 If you are having issues resolving the problem with the printer, it may be time to seek help from a printer repair company. Laser Line is the premier company in Jessup, MD, providing a wide range of top-quality products and printer services. From printer installation and maintenance to printing supplies, they will ensure your printer is working at peak performance. Give them a call today at (410) 636-1700 or visit their website for more information about their full list of printer services.